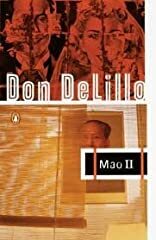 Don DeLillo's follow-up to Libra, his brilliant fictionalization of the Kennedy assassination, Mao II is a series of elusive set-pieces built around the themes of mass psychology, individualism vs. the mob, the power of imagery and the search for meaning in a blasted, post-modern world. Bill Gray, the world's most famous reclusive novelist, has been working for many years on a stalled masterpiece when he gets the chance to aid a hostage trapped in a basement in war-torn Beirut. Gray sets out on a doomed, quixotic journey, and his disappearance disrupts the cloistered lives of his obsessed assistant and the assistant's companion, a former Moonie who has also become Bill's lover. This haunting, masterful novel won the PEN/Faulkner Award in 1992. About Don DeLillo (Author) : Don DeLillo is a published author of children's books. Some of the published credits of Don DeLillo include White noise, Mao II.